In a large pitcher, add the citrus fruits, the wine and the lime juice. Add the slices of diverse citrus fruits. Place the pitcher in the fridge and serve with ice in cocktail cups or glasses; garnish with slices of lemon and lime. If you wish, you can use moscato wine, sweet white wine or sparkling wine. You can replace the citrus fruits with strawberries and blackberries to add a different flavor to the drink. Sangria is a delicious and popular drink in our Latin culture. This drink can be prepared with red or white wine and seasonal fruits. Sangria is excellent for parties and special occasions. 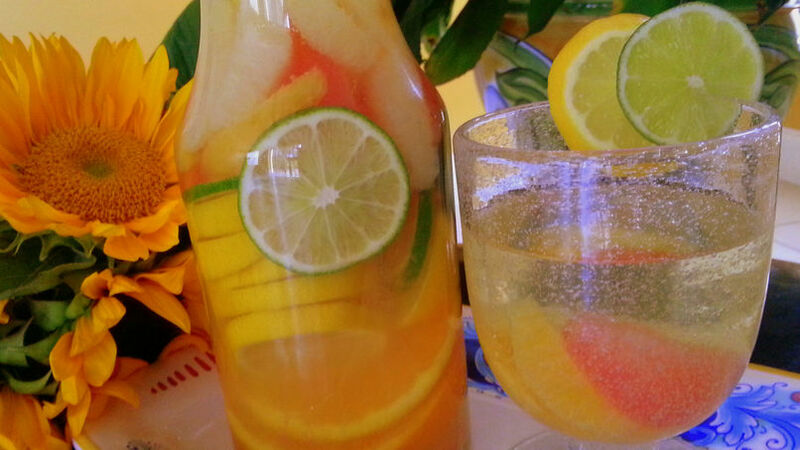 My husband loves Riesling wine, so we decided to prepare a refreshing white wine sangria with citrus fruits to complement the Father's Day menu. This cocktail is easy to prepare, and it’s delicious and refreshing. Let's cook!